Amazon.com description: Product Description: This is the story of radio DJ Xavier Ireland, who by night offers words of wisdom to sleepless Londoners and by day keeps himself to himself. That is, until a one-of-a-kind encounter forces him to confront his own biggest regret. 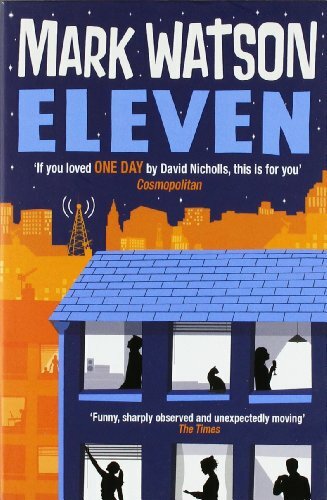 Meanwhile, a single moment sparks a chain of events that will affect eleven lives across the city, with unstoppable consequences...Elevenis a tale of love, loss, Scrabble and six degrees of separation, asking whether the choices we don't make affect us just as powerfully as those we do. About: This is the story of radio DJ Xavier Ireland, who by night offers words of wisdom to sleepless Londoners and by day keeps himself to himself.